Echofluxx 15 is a festival of new media, visual art, and experimental music produced by Efemera of Prague. 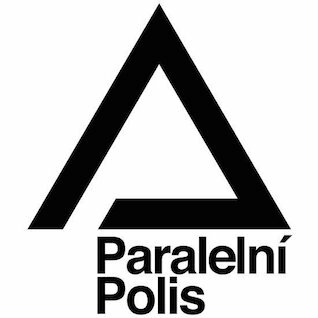 This year it will again present international and Czech performers in a four-day festival at Paralelní Polis in Prague, May 6-9, 2015. Echofluxx 15 je festival nových (zvukových a filmových) médií, vizuálního umění a experimentální hudby. Festival se koná 6–9. kevetna 2015 v Praze v prostoru Paralelní Polis, Praha. Media Performances curated by Dan Senn. Concert of Experimental New Music curated by David Danel (Prague). Fix Media Works for experimental video and sound. World Premiere performance of the Agosto Foundation's vs. Interpretation book; Live Streaming of Performances hosted by David Means and Michael Karman. The echo of the fluxus movement resonates in this time—a ongoing hedge against the exclusivity of discipline-specific art and music. Echofluxx 15, a festival of new media, art and music, presents a spectrum of new art and music, from experimental film and poetry, to experimental music and art. It uses an organic curatorial method, with artists suggesting artists who would like to present with other artists, and so on. The festival is made possible with the assistance of volunteer help and in-kind support. V současném umění silně rezonují ozvěny hnutí Fluxus a jeho neustálého zpochybňování výhradního postavení jednoznačně definovaných uměleckých a hudebních proudů. Echofluxx 15, festival nových médií, umění a hudby, představuje rozmanitou škálu nového umění a hudby, od experimentálního filmu přes poezii až po experimentální hudbu a výtvarné umění. Festival volí organickou kurátorskou metodu, kdy přizvaní umělci navrhují spolupráci s jinými umělci, kteří se chtějí představit spolu s dalšími umělci atd. Banner graphic by Brigid Burke (click for orginal). Live Broadcast with David Means and Michael Karman. 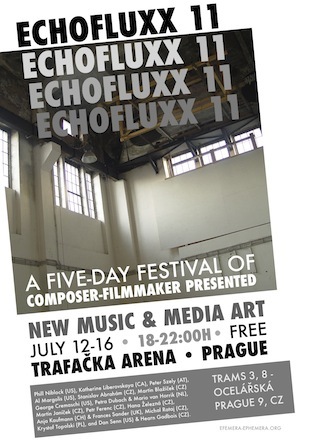 Echofluxx 15 is produced gratis by Efemera of Prague by a small group of dedicated artists. The festival is further made possible by inkind contributions of audio and video equipment from Prague art & music schools, local businesses, individual artists and art organizations. Artists sometimes receive funding from international government agencies for travel. When they arrive in Prague, they are housed in volunteer homes. There is a open bar for the festival which raises some money. But Efemera is mostly on its own to produce a festival which represents the current state of new media, music and art internationally in a truly great cities—and we need your help. Last year contributions ranged from $1 to $1000 and once everyone was paid, not a crown was left. Unlike most other edgy festivals, we pay our performers. The money we raise through contributions is simply divided amongst the presenters. So please click on the donate button below and send us what ever you can. All contributors will be listed in the festival program unless requested otherwise. Those contributing over $50 will be sent a Echofluxx 13 DVD of the festival presentations. If you contribute $1000 or more, we will find you a place to stay during the festival. Celý festival zdarma produkuje skupinka zapálených umělců Efemera of Prague . Jeho organizace je možná rovněž díky podpoře pražských uměleckých a hudebních škol, místních firem a jednotlivých umělců a uměleckých organizací, které nám zdarma poskytly audio- a videotechniku. Některým umělcům hradí cestovné zahraniční vládní organizace. V Praze jim ubytování poskytují zdarma dobrovolní hostitelé. Určitý příjem máme také z provozu festivalového baru. Festival, který na půdě světových velkoměst seznamuje veřejnost se současným stavem v oblasti nových médií, hudby a umění v mezinárodním kontextu, však z převážné části připravují členové sdružení Efemera sami — a potřebují vaši pomoc. Veškeré příspěvky, které se loni pohybovaly od 1 do 1000 $ (od 20 do 20 000 korun), jsme do poslední koruny věnovali umělcům. Na rozdíl od jiných alternativních festivalů poskytujeme zúčastněným umělcům honorář. Utržené peníze mezi ně jednoduše rozdělíme. Chcete-li nás tedy jakoukoli částkou podpořit, klikněte prosím na tlačítko Donate. Jména všech, kteří festival. We could use your help for the festival. We are looking for volunteer cars and drivers, flats for artists, technical expertise, lighting experts, docents, and art installers. Also, if you have a PA, especially a subwoofer, or video projector to lend, this would be useful. Contact Dan at dan@echofluxx.org. Pomozte nám s organizací festivalu! Hledáme mobilní dobrovolníky s auty, řidiče, hostitele pro ubytování umělců, techniky, osvětlovače a pomoc při instalaci výstav. Vlastníte-li reprosoustavu, především pak subwoofer nebo videoprojektor, oceníme, pokud nám je zdarma zapůjčíte. Kontaktujte Dana na dan@echofluxx.org. Michal Cáb and Peter Gonda, OEM, Lucie Vtková and Jolana Havelková, Martin Blažíček and Michal Žboříl, Brigid Burke, Martin Janíček and Bethany Lachtorin, Michael Schumacher (intro), Jamchestra, Joanna Adamczewska, Echofluxx Ensemble, Michal Cimala, Frances Sander & Dima Borzon, and Yves Degoyan. EVERYDAY NATURE see gallery exhibition. Presentations by Lukasz Szalankiewicz; Marcus Bergner with Marek Bouda; Daniel Hanzlik and Pavel Mrkus; Dan Senn; David Means; Toine Horvers with Marcus Bergner, Jose Pablo Estrada Torresca and Mojmir Pukl; Krzysztof Topolski, Anja Kaufmann and Kate Lee; George Cremaschi; Michal Cimala and Aleš Zemene. early reflections concert: compositions by Michal Rataj; Andrea Sodomka; Markéta Mazourová; Sylva Smejkalová with Quido Sen.
David Means' interviews with Krzysztof Topolski and Lukasz Szalankiewicz on USTREAM. Phill Niblock, Phill & Katherine Liberovskaya, Katherine & Al Margolis, Al Margolis, Michal Rataj, Michal and Ivan Boreš, Ivan Boreš, Peter Szely, Martin Janíček & Petr Ferenc, Martin Blažíček & Krzysztof Topolski, Anja Kaufmann & Frances Sander, George Cremaschi, Hana Železná, Petra Dubach & Mario van Horrik, Hearn Gadbois. Michael Arrigo (Ohio) - A Short Song of The Shore to be Sung Daily Without Being Seen, 3'00" - This work was also originally part of a 3 channel installation. This was re-edited as a stand-alone video in 2014. SOS visualizes those brief, fleeting moments when we bump up against the shore of ourselves, when we experience passing thoughts or private reveries in which we imagine our own death, contemplate the enormity of time, empathically experience the world through another's eyes, or marvel at the strangeness of the world around us. Typically, these glimpses beyond the shores of ourselves evaporate or are banished almost as quickly as they arrive, and are rarely ever shared because we lack the language to adequately recount them, even to ourselves. This video serves as a reminder for me to make a duty of what is usually considered a distraction, to take time to court those impractical, unproductive moments when our most personal, private and incommunicable thoughts turn identity inside out and we experience, if for only an instant, a sense of the breadth of all that lies beyond our own horizon. SOS is shot using a technique called RGBD video. For me this involves shooting with a rig that combines a Canon 60D/Sigma EX 17-50mm F/2.8 lens with a Kinect depth sensor. Specialized software maps the color data provided by the dslr onto the 3D depth information provided by the Kinect sensor. Michael Arrigo is a multi-disciplinary artist based in Toledo, Ohio. He received his M.F.A. in Painting and Drawing from the Ohio State University and has been included in many regional and national juried and invitational exhibitions. He has received a G.C.A.C. Individual Artists Fellowship, and painting awards from The Columbus Museum of Art, The Maser Museum of Art and The Toledo Museum of Art. In 2015 Los Angeles Times art critic Christopher Knight presented the video installation Sirens’ Song with the Second Award while on display at the Toledo Museum of Art. Other recent installations include Sirens' Song at the Malone Gallery in Troy, AL; Packing Up at Cascade Gallery in Portland, OR; and Subimago at the Overbrook Gallery, Muskegon, MI. Arrigo is currently Associate Professor of Art at Bowling Green State University, and serves as a National AP Portfolio Reviewer. Arrigo has taught painting at Studio Arts Center International in Florence, Italy and served for two years as the director of Young Artists at Work, a nationally recognized arts outreach program for young adults. Wednesday, May 6: Phill Niblock (New York-Ghent); Bob Ostertag (San Francisco). Presentations start at 8p. Thursday, May 7: Jaap Blonk (Holland); Joanna Hoffmann (Berlin-Poznan). Presentations start at 8p. Friday, May 8: David Danel (Prague) performing ACOUSTIC SELFIES with works by Martin MAREK, John CAGE, Miroslav SRNKA, Morton FELDMAN and Jakub RATAJ; Jakub Rataj with Helena Šťávová and Markéta Jandová (Prague). Presentations start 8p. Saturday, May 9: Echofluxx Ensemble performing the vs. Intrepretation book (Agosto Foundation) with David Means (Minneapolis), Oscar Kubica (Prague),Michael Karman (ES) and Ladislav Železny(CZ); Selected video works from around the world, artists include: Rachel Yurkovich (US), Efstathios Kampylis (UK), Brigid Burke (AU), Joao Pedro Oliveira (PT), Albert Bayona and Daniel Cabanzo (ES), Jing Wang and Harvey Goldman (US), Michael Arrigo (US), Collin Bradford (US), dextro.org and Christopher Arrell (US), and Katherine Hammond (US). Presentations start at 8p. The vs. Interpretation book (click image for detail) will be performed for the first time by the Echofluxx Ensemble on the evening of May 9th at 20h. Středa, 6. Phill Niblock (New York-Ghent); Bob Ostertag (San Francisco). Začátek programu ve 20.00. Čtvrtek, 7. Jaap Blonk (Holland); Joanna Hoffmann (Berlin-Poznan). Začátek programu ve 20.00. Helenou Šťávová a Markéta Jandová (Praha). Začátek programu ve 20.00. Sobota, 9. Echofluxx Ensemble provedení vs. Intrepretation knihu (Agosto Foundation) s Davidem Means (Minneapolis), Oscar Kubica (Praha), Michel Karman (ES) a Ladislav Železny(CZ); Vybrané video děl z celého světa, umělci zahrnují Rachel Yurkovich (US), Efstathios Kampylis (UK), Brigid Burke (AU), Joao Pedro Oliveira (PT), Albert Bayona a Daniel Cabanzo (ES), Jing Wang a Harvey Goldman (US), Michael Arrigo (US), Collin Bradford (US), dextro.org a Christopher Arrell (US), a Katherine Hammond (US). Začátek programu v 20.00. Dan Senn (USA) - artistic director, Terezie Honsová (Prague) - festival site coordinator at Parallelní Polis, Tereza Kučerová (Prague) - translation, posters, Petra Vlachynská (Prague) - adjudicaion, Diana Winklerová - housing assistance (Prague), David Means (USA) - technical, Echofluxx Ensemble; Caroline Senn (Australia) - adjudication, and Michael Karman (Spain) - UStream, Echofluxx Ensemble. Jiří Sovinec & Petra Vlachynská equipment transportation. Monika Hanková housing assistance, Saša Dlouhý and Dan Vlček sound system donation! Ladislav Železný (Prague) was born in 1979 in Jindřichův Hradec, Czech Republic. He studied at the Secondary Ceramic School in Bechyne, independent Intermedia School in Bechyne (PeaDr. Jan Svoboda), faculty of Fine Arts VUT Brno (department video and multimedia, and the Keiko Sei, Peter Rónai, Richard Fajnor) He is a freelance artist, an educator at the Faculty of Fine Arts Brno (Multimedia department), and a sound designer for Czech radio. He is interested in the communication between mediums as a spectator while trying to return the original meaning that has for life specificially in connection with soundart and radiophonic creation as a possible means for communication. He is interested in participation, preparation and realization of various workshops, symposia, exhibitions, radio projects. Participation at various exhibitions, project and symposia in abroad. David Means (USA) graphic scores, installations and performance systems have been exhibited and presented by the Walker Art Center, IRCAM, Documenta IX, the Xi An Conservatory of Music (China), Het Stroomhuis (Holland), Logos Foundation (Belgium) and the Arts Council of Great Britain. He is currently an Associate Professor of Media and Fine Arts and producer of the Strange Attractors Festival of Experimental Intermedia Art at Metropolitan State University. David contributed greatly to Echofluxx 12 as a technician, performer, U-Stream interviewer and video-photo documentarian for Echofluxx 12-14 See David's site here. Michael Karman (Spain) is the publisher, editor, and chief writer of Asymmetry Music Magazine, an online magazine that is devoted to contemporary music. Karman lives in Europe and Oregon after many years living in the Los Angeles area. He trained as a musician, is a novelist, and has taught writing for many years at university. Here is a recent interview of Michael in a Portland publication. Dan Senn (Wisconsin) is an intermedia artist working as a producer, composer, kinetic sound sculptor, experimental and documentary film artist. He has been a professor of music and art in the United States and Australia. Dan travels internationally as a lecturer, performer and installation artist living in Prague, Czech Republic, where he directs the Echofluxx festivals, and Watertown, Wisconsin, the USA, with his partner-collaborator, Caroline Senn. He studied music and art at the University of Wisconsin at La Crosse with Truman Daniel Hayes and Leonard Stach, and at the University of Illinois, Urbana, with Salvatore Martirano, Ben Johnston and Herbert Brun. His music is published by Smith Publications of Baltimore. His work for "Any Three Treble Instruments In the Same Key," called "Rivus," was released in 2015 by Ravello Records, along with works by Scotto and Cage by McCormick Percussion Group. Dan founded Newsense-Intermedium of Tacoma, Washington, and cofounded Roulette Intermedium of New York City. He is currently artistic director of Efemera of Prague. Joao Pedro Oliveira (Portugal) - Et Ignis Involvens, 11'30" - This piece is inspired on the first vision of the prophet Ezechiel (Ezechiel 1:4): “et vidi et ecce ventus turbinis veniebat ab aquilone et nubes magna et ignis involvens et splendor in circuitu eius et de medio eius quasi species electri id est de medio ignis” “And I looked, and behold, a whirlwind came out of the north, a great cloud, and a fire infolding itself; and a brightness was about it, and out of the midst thereof as the colour of amber, out of the midst of the fire”. This piece was commissioned by Gulbenkian Foundation, and was composed in the composer’s personal studio and at the University of Keele Electronic Music Studio. The audio part of his piece received the first prize at Metamorphoses 2006 Competition (Belgium). The video part was made at the composers personal studio. 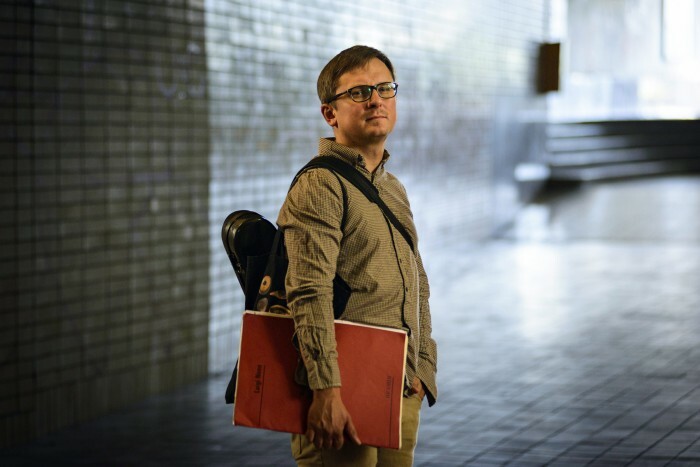 Joao Pedro Oliveira completed a PhD in Music at the University of New York at Stony Brook. His music includes one chamber opera, several orchestral compositions, a Requiem, 3 string quartets, chamber music, solo instrumental music, electroacoustic music and experimental video. He has received numerous prizes and awards, including three Prizes at Bourges Electroacoustic Music Competition, the prestigious Magisterium Prize in the same competition, the Giga-Hertz Special Award, 1st Prize in Metamorphoses competition, 1st Prize in Yamaha-Visiones Sonoras Competition, 1st Prize in Musica Nova competition, etc.. He is Professor at Federal University of Minas Gerais (Brazil) and Aveiro University (Portugal). He published several articles in journals, and has written a book about analysis and 20th century music theory. Brigid Burke (Melbourne) - Gloss, 15'01" - This work is a series of 9 short connected movements. 1. Bb clarinet, bass clarinet, flute, piano and electronics, 2. Electronics, 3. Bb clarinet, flute, double bass and electronics, 4. Bass clarinet, piano, electronics and flute, 5. Electronics, 6. Piano, double bass and electronics, 7. Bass clarinet, Bb clarinet, double bass, flute and electronics, 8. Eb clarinet, bass clarinet, flute, piano, double bass and electronics, 9. Bass clarinet, bass clarinet, flute, double bass, piano and electronics. Gloss was inspired by a series of nine pen and ink drawings, which were used as graphic notation for the different instrumental combinations and live electronics. 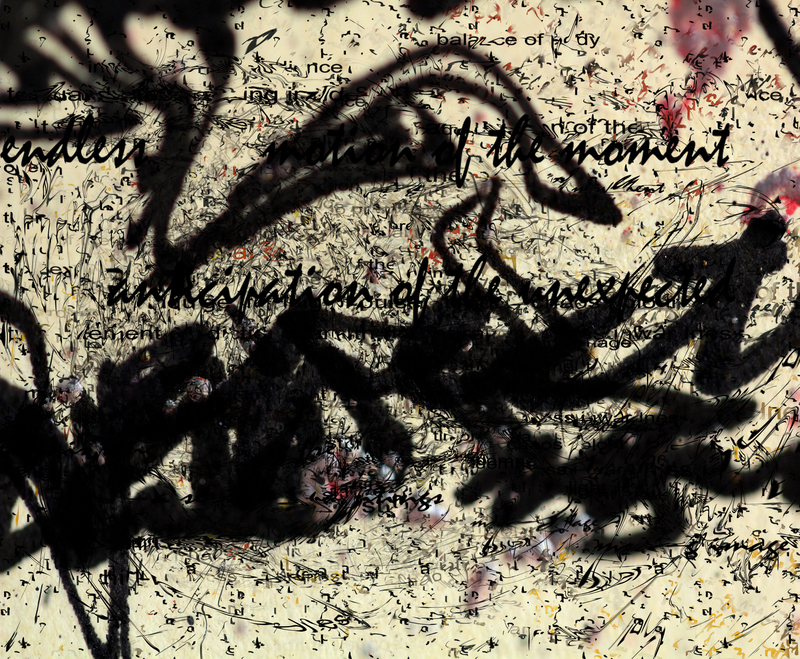 The nine graphics were then integrated into the video art work which shows glimpses of the graphics in superimposed layers in conjunction with pencil drawings of squiggles depicting wire. These were then photographed. The depiction of wire glosses the image with a superficial lustre. Brigid Burke: Composition/score, Electronics, Bb clarinet/bass Clarinet, artwork, visuals and video. Grania Burke: Eb clarinet/bass clarinet Megan Kenny: flute/pic David Mc Nicol: piano Ian Wilmot: double bass. Brigid is an Australian composer, clarinettist, visual artist and video-maker. She has had works performed extensively both nationally and internationally. Most recently, she has performed in the Fed Jam visuals on the Big Screen Fed Square ICMC International Computer Music Conference Perth Australia, Echofluxx Festivals Prague, Generative Arts Festivals in Rome & Milan Italy, Asian Music Festivals in Tokyo, The Melbourne International Arts Festival, Futura Music Festival Paris France, Mona Foma Festival Hobart, The International Clarinet Festivals in Japan and Canada also Seoul and Australian International Computer Music Festivals. She will in 2015 be Artist in Resident at Marshall University USA with a Edwards Distinguished Professor Artist Residency as well as at NMIT Melb. Aus. Artist Residency also at ADM NTU Singapore. She has been a recipient of an Australia Council Performing Arts Music Project Fellowship. She also curates Seensound Visual/Music series at LOOP Bar Melbourne Australia. http://seensound.comHer involvement in many audiovisual performances has led her to integrate real time sound, visuals, and theatre in her performances to create innovative use of sonic objects, speakers, video cameras, computers, clarinet animations, notation, original prints, drawings, digital animation, traditional notation and free improvisation. She has received commissions from the Australian Broadcasting Commission ABC, Australian Asian Foundation, Japanese Printing Corporation, ANAT, South Australian Govt. and Australia Council. Universities have supported Brigid in her performances, compositions and artwork. She has a PhD from UTAS University of Tasmania and a Master of Music in Composition from Melbourne University. Daniel Cabanzo (FR) and Albert Bayona (ES) - Flux II, 8'40" - This is the second version of Flux, from the Latin word “fluxus” which refers to the flow or the idea of transporting either information, materials or energy. Flux is originally on stereo format and it is inspired by the flow of life, where the idea of ? ?adapting images to the music becomes stronger, finally achieving an audio-visual work where the images and the music share a synergy which complements each other. Flux plays with the sensation of the coming and going flow of people and situations that are perpetually changing and in constant movement, dying and being born and finally becoming an endless cycle of transformations in a continuous movement of "eternal return." music: Daniel Cabanzo, video: Albert Bayona. 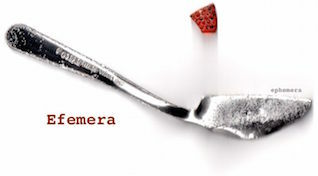 Albert Bayona is a visual artist and cultural promoter. Since 1986 he has been engaged in teaching at the School of Arts Leandre Cristòfol in Lleida. He was the director of this School between 1995-2000. His arts works involve many different disciplines like paintings, drawing, photography, video, digital technology and music. Between 1986 and 2000 he participated in the organisation of the Grants “Entrega” that Lleida’s town hall was giving. In addition, he was the artistic director of the Periferiat’s Gallery, the Museum “el Roser” and “Sant Joan” and finally codirector of the Animac Animation Festival. He has benefited from the grants of the Catalan government “Generalitat de Catalunya” and Lleida’s town hall. His works have been presented in Fundació Joan Miró (Barcelona), Taipei Fine Arts Museum, Art Center La Panera (Lleida), Museum Abelló L'Aparador (Mollet del Vallès), la Caixa Fundation, Museum Jaume Morera (Lleida), Center Lectura (Reus), Développement Cultural (Foix), Gallery Sebastià Petit Art Contemporani and Gallery 44 (Barcelona). Albert has participated in the following festivals: ARCO (Madrid), Art Frankfurt, Biennal de Vic, Videoformes (Clermond-Ferran), New York International Independent Film and Video Festival, Split International Festival of New Film, Lúmen_ex 2011 (Badajoz), Festival Signes de Nuit (Paris), The Wrong Biennale, LOOP Festival (Barcelona), CO.AR.CO (Marseille), Under the Subway Video Art Night (New York), BccN MACBA (Barcelona), ccVAD Patio Herreriano (Valladolid) and Instantes de Paisaje CDAN (Osca). In 1985 Bayona received the second prize of the XXIV Fundation Joan Miró for his work Variacions per a una estètica racional (1984). Later on in his career, in 2008, his audiovisual Monday to Friday (2008) was the winner of the Vasudha Prize for the best environmental short film at the International Film Festival of India-Goa. Rachel Yurkovich (US) - Five-Second Rule, 4'01" - After pondering how our perspective of food changes immediately once it hits the ground... This happened. Rachel was born in South Carolina, raised in Prague, The Czech Republic and now lives in Cleveland, Ohio. She received her BFA in Sculpture and Painting from the Cleveland Institute of Art in 2014. Her work involves instances of uninhibited consumption in living things captured by video. This work has been exhibited nationally in venues such as the SPACES Gallery, ROY G BIV Gallery in Ohio as well as well as locations such as the Aggregate Space Gallery and the Sebastopol Center for the Arts in California. Thanks to the 2014 First Agnes Gund Traveling Award, Rachel is planning her upcoming travels to Chernobyl, Ukraine as a location for filming in the near future. Click on artist for video. Phill Niblock (New York-Ghent), Bob Ostertag (San Francisco), Jaap Blonk (Holland), Joanna Hoffmann (Berlin-Poznan), David Danel (Prague) performing works by MAREK, CAGE, RNKA, FELDMAN and RATAJ. Jakub Rataj (Prague) with Helena Šťávová (Prague) and Markéta Jandová (Prague), Echofluxx Ensemble performing the vs. Intrepretation book (Agosto Foundation) with David Means (Minneapolis), Oscar Kubica (Prague), Michael Karman (Spain) and Ladislav Železny (Prague). 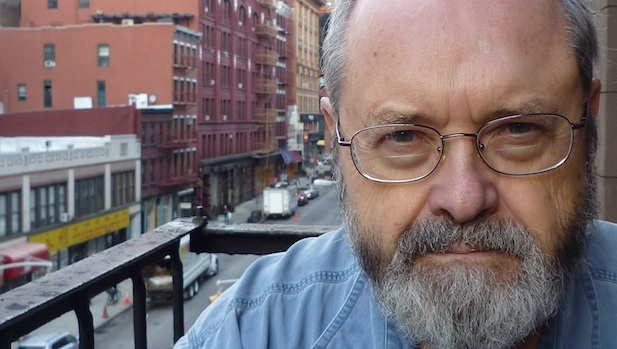 Phill Niblock (New York-Ghent) is a minimalist composer and multi-media musician and director of Experimental Intermedia, a foundation born in the flames of 1968's barricade-hopping. He has been a maverick presence on the fringes of the avant garde ever since. After an early period studying economics (BA, Indiana University, 1956) Niblock came to New York in 1958. and worked as a photographer and filmmaker. Much of this activity centered around photographing and filming jazz musicians. Thereafter he made a number of films in a series titled The Movement of People Working. Filmed in primarily rural environments in many countries (China, Brazil, Portugal, Lesotho, Puerto Rico, Hong Kong, the Arctic, Mexico, Hungary, the Adirondacks, Peru), the films look at everyday work, frequently agrarian or marine labor. These films are remarkable for their realistic quality and absence of artifice, their use of long takes in high resolution and their supposedly artless juxtaposition of compelling images in vivid colors. These scenes of the movement of human manual labor are treated abstractly without explicit anthropological or sociological meaning. As in the music, a surface slowness is countered by an active, varied texture of rhythm and form of body motion within the frame; this is what Niblock himself considers the ultimate subject matter of his films. 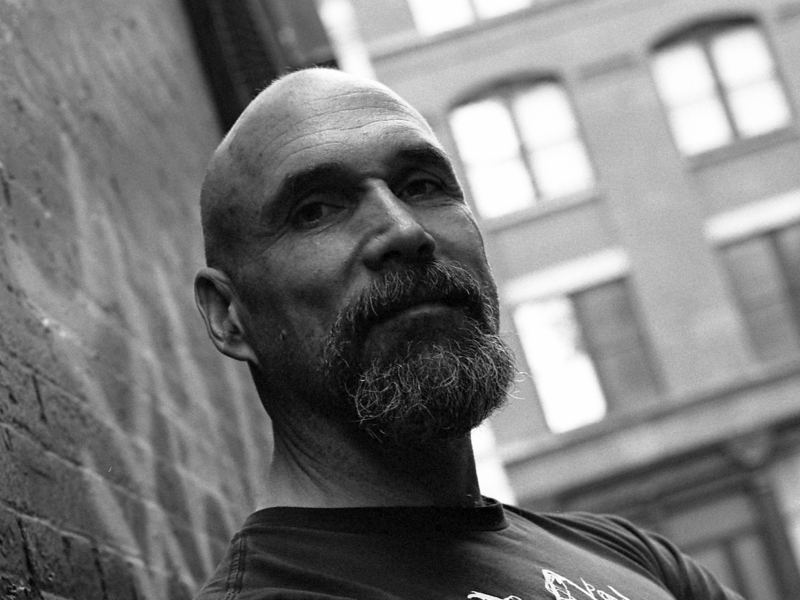 Bob Ostertag (San Francisco) Composer, performer, instrument builder, journalist, activist, historian, kayak instructor—Bob Ostertag’s work cannot easily be summarized or pigeon-holed. He has published 21 CDs of music, 2 films, and 3 books, and appeared at music, film, and multimedia festivals around the globe. As a journalist, his writings on contemporary politics have been published in many languages. Electronic instruments of his own design are at the cutting edge of both music and video performance technology. Born in Albuquerque in 1957, he dropped out of the Oberlin Conservatory after two years, settled in New York City in 1978 and immersed himself in the “downtown” music scene of the period. He left music in 1980/81 to work in Central America, and became an expert on the region, with writings published in Asia, Africa, Latin America, Europe, and the U.S. In 1988 he moved to San Francisco and resumed his musical activity. His radically diverse collaborators have included the Kronos Quartet, avant garders John Zorn and Fred Frith, heavy metal star Mike Patton, jazz great Anthony Braxton, dyke punk rocker Lynn Breedlove, drag diva Justin Bond, film maker Pierre Hébert, and others. He is rumored to have connections to the shadowy media guerrilla group The Yes Men. Bob is a professor of Cinema and Technocultural Studies at UC-Davis. 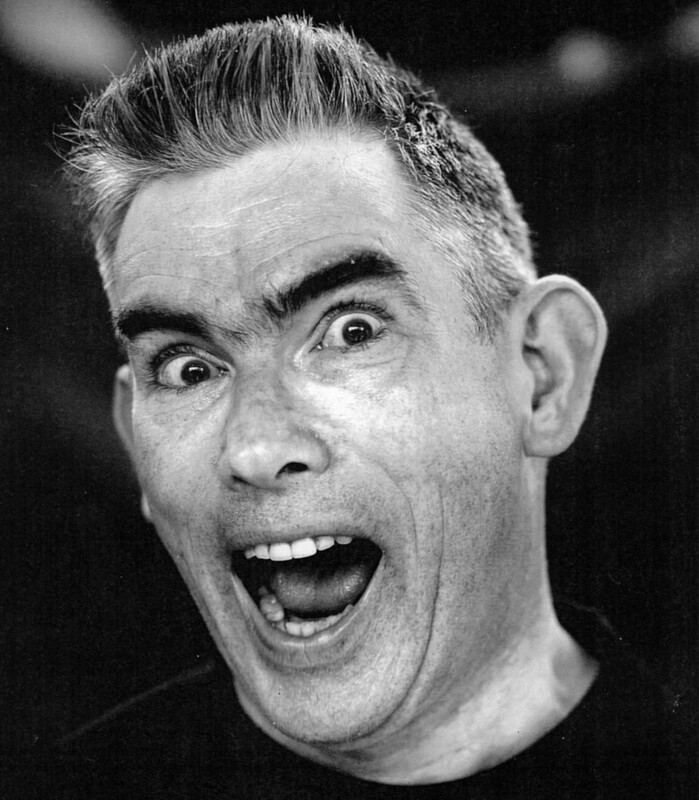 Jaap Blonk (Holland), is a self-taught composer, performer and poet. He went to university for mathematics and musicology but did not finish those studies. In the late 1970s he took up saxophone and started to compose music. A few years later he discovered his potential as a vocal performer, at first in reciting poetry and later on in improvisations and his own compositions. For almost two decades the voice was his main means for the discovery and development of new sounds. From around the year 2000 on Blonk started work with electronics, at first using samples of his own voice, then extending the field to include pure sound synthesis as well. He took a year off of performing in 2006. As a result, his renewed interest in mathematics made him start a research of the possibilities of algorithmic composition for the creation of music, visual animation and poetry. As a vocalist, Jaap Blonk is unique for his powerful stage presence and almost childlike freedom in improvisation, combined with a keen grasp of structure. He has performed around the world, on all continents. With the use of live electronics the scope and range of his concerts has acquired a considerable extension. Besides working as a soloist, he collaborated with many musicians and ensembles in the field of contemporary and improvised music, like Maja Ratkje, Mats Gustafsson, Joan La Barbara, The Ex, the Netherlands Wind Ensemble and the Ebony Band. He premiered several compositions by the German composer Carola Bauckholt, including a piece for voice and orchestra. A solo voice piece was commissioned by the Donaueschinger Musiktage 2002. On several occasions he collaborated with visual computer artist Golan Levin. Blonk's work for radio and television includes several commissioned radio plays. He also makes larger-scale drawings of his scores, which are being exhibited. Joanna Hoffmann (Poznan-Berlin) studied at the Academy of Fine Arts in Poznań in 1987-1992. She lives and works in Poznań and Berlin. Artist, educator, researcher, Professor (Dr hab) of the University of Arts in Poznan (Leader of Studio for Transdisciplinary Projects & Research) and Chair of Art & Science Node in Berlin. She does multimedia installation, experimental video and bookart. She presented her works at numerous solo and group exhibition, festivals, symposia i.e. : at the Centre of Contemporary Art in Warsaw; DANA Centre/Science Museum in London; European Patent Office Berlin; Transmediale Berlin; WRO Biennale in Wroclaw; MUSE Centre of Photography and the Moving Image, New York; ISEA International Symposia on Electronic Arts in Singapore/ Istambul/Sydney. “Mutamorphosis” CIANT Prague; Awarded twice by the Fellowship of Polish Minister of Culture Art residencies include: DKFZ/Eilslabs Heidelberg, Academy of Film and Television Potsdam-Babelsberg, DE; KHOJ Kolkata, KHOJ & ICGEB New Delhi; CEMA & NCBS in Bangalore, India; Art Omi NY USA; KulturKontakt Vienna, AT. David Danel (Prague) is a violinist of Prague Philharmonic with a significant career also as a soloist. He has appeared with Janacek Philharmonic Orchestra, Ostrava Orchestra, Capella Istropolitana in Slovakia, Prague Philharmonic Chamber Soloists and Talich Chamber Orchestra in Prague. He has made many recordings of solo and chamber music for the Czech Radio and Slovart Records. He has received prizes in several national and international competitions including the Ludwig van Beethoven International Violin Competition and the Leos Janacek Violin Competition. He enjoys looking for ways to bring the violin into new mediums, and often cooperates with dancers, choreographers, visual artists and narrators, and frequently premieres new works by Czech composers. Beside his artistic career he teaches at the University of Ostrava. David's program follows, to which he refers as "historical/past pre-portraits," will be punctuated by improvisational works of his own. 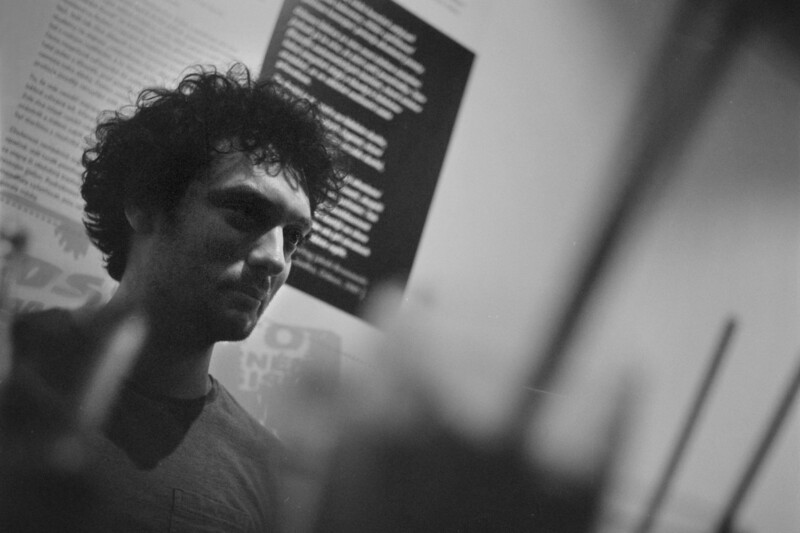 Jakub Rataj (Prague) is a Czech composer of orchestral, chamber and electro-acoustic music. His work includes interactive sound installations and performances inspired by the human body, movement, breath, pulse and gesture. Jakub is a member of O.E.M. ARTS – a Czech art group comprising of and connecting contemporary artists from the fields of sound performance, animation, and light design – where he’s playing electric guitar and processing sound by using sensors. His compositions have been performed on many concerts and festivals (Czech Rep., France, Germany, Sweden, Austria, China etc. ), he was commissioned by ensembles such as Orchestr Berg, Prague Modern, MoEns and has worked with various choreographers, film directors and animators. In 2013-2014 he studied composition and new technology with Luis Naon at the Conservatoire National Supérieur de Musique et de Danse de Paris. In Czech Republic, he is studying composition with Hanuš Bartoň at the Academy of Performing Arts in Prague. He took classes, among others, with Isabel Mundry, Frédéric Durieux, Yan Maresz, Yan Geslin, Oriol Saladrigues and Tom Mays. In 2014 he was awarded the main price Nuberg for the piece Proraketon (for Raketon and chamber orchestra) commissioned by the Orchestr Berg. For Echofluxx 15 Jakub will be working with David Danel (violin), dancer-choreographer Helena Šťávová and dancer Markéta Jandová both dancers will be outfitted with motion detectors to manipulate te spimd in a reduced version of Rataj's "the art of manipulation." Markéta Jandová (Prague) studied at the Dance Conservatory of Prague and at the moment she is studying choreography at HAMU in Prague (Music and Dance Faculty of the Academy of Performing Arts). She gained dance experience in frame of studies at the Dance Conservatory where she danced, for example, in the Sleeping Beauty. Soon after her studies she became part of the Dance for Camera project under the management of David Hinton. She has also shot several dance films (Ballerina, Life of the Bird) with the production of company Cineaste. Her choreographic work includes films Andělská pěna (Angels foam) and Vzdáleni prachu (Away from the dust). She has participated in international dance competitions in Canada, Norway and Germany. Her choreography also includes (Mám, nemám / Should I, should I not, Away from the Dust, Duet/Duel, Deep Down, among other dances. Helena Šťávová (Prague) studied at the Conservatory Duncan Centre in Prague receiving a bachelor degree choreography at the Music Academy. She completed an internship abroad at a dance school Escola Superior de Danca in Lisbon and is currently completing a master's degree at the Academy of Music. He works as a dancer and choreographer in the contemporary dance scene. Her choreography seeks a deeper connection to music and dance, where the individual components do not lose their own individuality and expressiveness leading to a synthesis and integrity of the work. During her study she has worked with students on site specific performances and interactive projects. choreographed performances with the music group OEM Arts [objects 'electronics' music]. Collin Bradford (US) - Waking Helen, 3'55" - This work explores the causal as well as the incidental relationships between language and consciousness. As the technocapitalist system creates ever more sophisticated algorithms and networks for archiving, encoding, decoding, imitating, and producing language (e.g., Google Voice, machine translation, artificial intelligence and natural language processing, machine learning, etc.) our experience of language becomes ever more charged. From the Loebner Prize (for the winner of the world's most prestigious Turing Test) to the monetization of our social relationships through the processing of personal communication (Facebook, etc. ), we participate linguistically as conscious social beings on shifting and uncertain ground as profit-seeking machines decode us with increasing precision and produce ever more natural language. Language's key role in human consciousness and morality makes it the most powerful possible tool in decoding and capitalizing on human thoughts, relationships, and activities. Is it possible that in the pursuit of profit, our language processing machines might inadvertently illuminate the very thing they mimic? Collin makes videos, photographs, objects, architectural interventions, and other forms that explore how we relate as physical beings to the land and to technology and media and how we use language. His work has been exhibited throughout the United States as well as in Germany, Ireland, South Korea, Australia and elsewhere. He works and lives in Grand Rapids, MI, USA, where he also teaches in the Department of Art and Design at Grand Valley State University. Efstathios Kampylis (UK) - Under the Bodhi Tree for flute and electronics, 9’43” - Music: Stathis Kampylis, Video: Sofy Papadopoulou (Comoddor), Flute: Vangelis Stathoulopoulos. The Bodhi Tree, also known as Bo and 'peepal tree' in Nepal and Bhutan, was a large and very old Sacred Fig tree located in Bodh Gaya, India, under which Siddhartha Gautama, the spiritual teacher later known as Guatama Buddha, is said to have achieved enlightenment, or Bodhi. In religious iconography, the Bodhi tree is recognizable by its heart-shaped leaves, which are usually prominently displayed. Bodhi trees are planted in close proximity to every Buddhist monastery. Stathis Kampylis was born in 1987 in Athens, Greece. He received Harmony, Counterpoint and Electric Organ degrees from the Contemporary Conservatory of Athens. Additionally, he has a BA in Theory and Composition (Hellenic American University) and a MA in Composition for Film and Television (University of Bristol). He is now a doctoral student in the Department of Music at the University of Bristol, where he studies with Neal Farwell. His research (titled 'Chance Operations and Indeterminacy in Electroacoustic Composition) as a composer is particularly concerned with compositional practices that involve the relinquishing of control, informed by his interests in Japanese culture and Zen philosophy. Sofy Papadopoulou followed studies in Digital arts (Master of Digital Arts, Athens School of Fine Arts, 2007), in Digital printmaking (Master of Printmaking, Athens School of Fine Arts, 2008), in printmaking (G.Milios, Diploma in printmaking, Athens School of Fine Arts, 2002), in painting (R.Papaspyrou, Diploma in painting, Athens School of Fine Arts, 2005), performance and video art (University of Barcelona-Faculty of Fine Arts, Spain, 2001). She has been awarded with scholarships for her achievements as a student (IKY- School of Fine Arts) In 2002 she formed COM.ODD.OR visual enhancement group. Com.odd.or focuses on multimedia installations and digital arts. The team has been participated in audiovisual festivals/videoart: "RECORDING 1": audiovisual and combinatorial works exhibition, interactive. multimedia and interactive space installation, VIDEOCOLLECTIF Athens 2006 French Institute of Athens, Synch Festival, Mir Festival, AthensVideo Art Festival, “RoomsToLet” Action Field Kodra, VISIONARIA 2003. theater/live visual installations: “Flantro” Greek National Theater , “The third wave” Greek National Theater , “Lifes ambush: Loula Anagnostaki mixage” Aggelon Vima/Municipal Theatre of Piraeus Athens, “THE Mist” Theater Thiseion/ XXVIII International Festival Sarajevo/Theater Poreia/52nd Philippoi– Kavalas Festival 09 , “Untold” – G. Ximonas Speech Athens Epidaurus Festival 2010, “Little Dictionary abnormalities” 53 Philippoi–Kavalas Festival 2010, "Vladimir Mayakovsky: Behold, I" Epi Kolono Theater/Amalia Theater, “The Company forgive a moment of insanity” Theatrical Group “Polimixanoi” , “Edgewise” [bookstand] Greek National Theater live visual installations/vjing: GAUDI Passport Greece, NANO LABEL Records/ Hux Flux / Logic Bomb Psyacoustics Athens, Electronic Soundscapes Arash Atman, Peekay Tayloh, Direct Connection, SOUNDSCAPES Stathis Kampylis, “The remote magic world of electronics” Savvas Tsiligkiridis, RSN. net projects(International): HYBRID CITY website Narrative Of The Unseen, Without Words Project performances: “VIDEOART” _5 days of video art, lectures, projections ATHENS SCHOOL OF FINE ARTS, BODY IN CRISIS Onassis Cultural Centre Com.oddor has been chosen to represent Greece at international festival Bjcem 12th Biennale of Young Artist 2005, 2nd Biennale of Contemporary Art Thessaloniki 2009, XXII International Festival, Sarajevo 2006, "PRINTEXBO" 2002. Katherine Hammond (Virginia) - The Death of Thomas Edison, 4'22" - This work compels the viewer to experience the lyrical pain and anguish that is caused by an obsessive love. That love is not of a partner, but of an obsession, which has untold consequences. Katherine is the Producing Artistic Director of Warehouse of Theatre in Norfolk, Virginia and the Director of Theatre at Old Dominion University. Her works have appeared at the the New York International Fringe Festival, New Orleans Fringe, FringeWilmington, the Virginia Stage Company, ODU Rep, and the Fresh Fruit Festival in NYC, as well as being part of the Kress Project at the Georgia Museum of Art. Her works are composed of intricate vernacular imagery, often presented as theatrical events which include elaborate soundscapes and live performances with produced with her co-artistic creator, Lee Smith. Jing Wang and Harvey Goldman (US) - Passahhdi, 9'05" - Lost in tranquility, the ethereal sounds and imagery of the inner mind struggle to maintain their primal elegance, as turbulence from the world beyond begins to infringe on their domain. The transcendent inner soundscapes of the imagination are ever vigilant as they rumble with the vestiges of human endeavor. 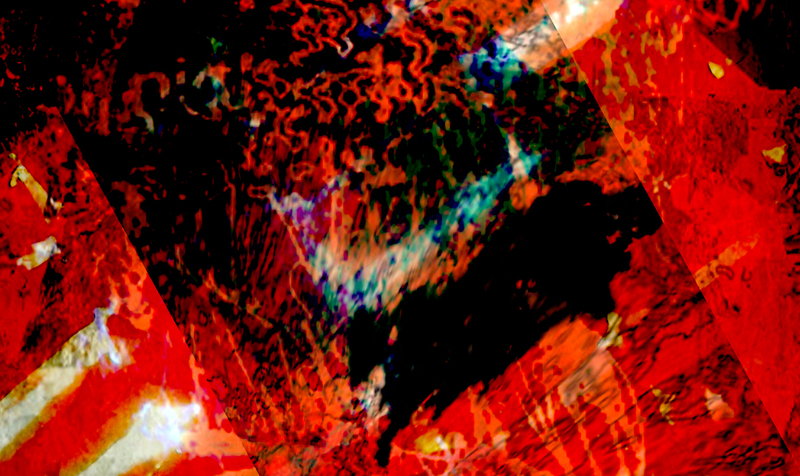 Passahhdi is an abstract experimental animation.A melding of sound and image that explores both the emotional relationships and the commonality of their formal language. The manner in which the elemental components of the underlying structure, such as line, shape, color/timbre and form, as well as principals, such as harmony, balance, rhythm, and counterpoint, translate between the auditory and visual experience is a primary concern. Jing Wang, a composer and virtuoso erhu artist, was born in China. Ms. Wang has participated in numerous musical communities, as a composer and a performer of diverse styles of music. Her compositions have been selected and presented in China, Spain, France, Italy, Serbia, Turkey, Romania, Russia, Australia, Japan, Argentina, and throughout the United States. They have also been recognized by the American Society of Composers, Authors, and Publishers and Electro-acoustic Miniatures International Contest Spain. She was the winner of 2006 Pauline Oliveros Prize given by the International Alliance for Women in Music and has been awarded the MacDowell Colony Fellowship, the Vilcek Foundation Fellowship, and the Omi International Musicians Residency Fellowship. As an active erhu performer, she has introduced the Chinese indigenous erhu into Western contemporary music scene with her wide array of compositions for chamber ensemble, avant-garde jazz improvisations and multicultural ensembles. She has also successfully performed erhu concertos with several symphony orchestras in the United States. Ms. Wang is currently an Assistant Professor of Music at the University of Massachusetts Dartmouth where she teaches electroacoustic music, composition, and music theory. Harvey Goldman has created critically acclaimed work in the fields of ceramics, digital imaging, animation and music. He is founder of the Digital Media program at the University of Massachusetts Dartmouth. His work has been exhibited widely throughout the United States, Europe and Asia. He has received grants from the National Endowment for the Arts, The Ford Foundation and the Massachusetts Council on the Arts and Humanities. Goldman's work is included in numerous private and public collections including the Iota Center for Visual Music, Boston Museum of Fine Arts, Everson Museum of Art, Decordova Museum, Currier Museum of Art, and the Crocker Art Museum. His animations have been screened throughout the world including, the Smithsonian's Hirshhon Museum, the Corcoran Gallery of Art and the White Box Museum, Beijing, China. His interests include gardening, storytelling, world music, sound exploration, language development, writing systems and basketball. He resides in Dartmouth, Massachusetts with his wife and fellow artist, Deborah Coolidge.